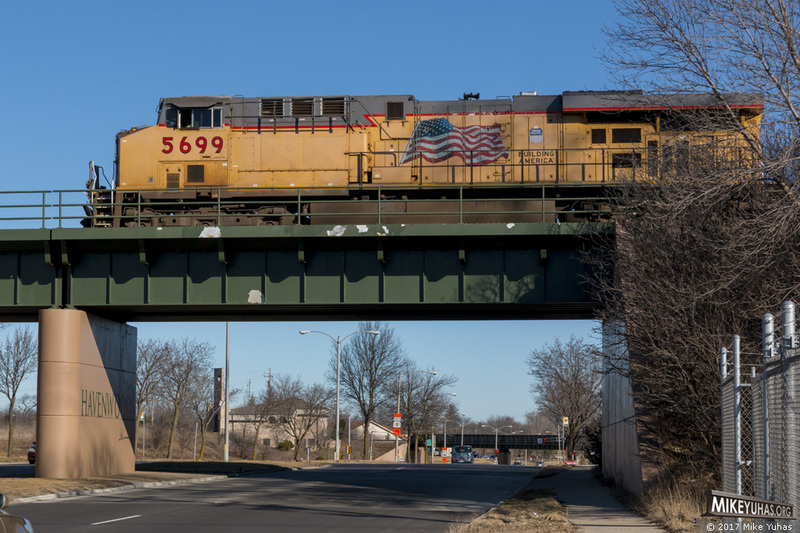 Sheboygan hoppers cross the bridge over 60th Street in Milwaukee. Bridge & abutments were painted a couple years ago; a Chicago & North Western ball & bar herald was apparently not painted over. The faded logo still exists today, though it's easy to mistake for a peeled patch of paint.